Our office in Sweden has moved to Solna Strandväg 20, 171 54 Solna. 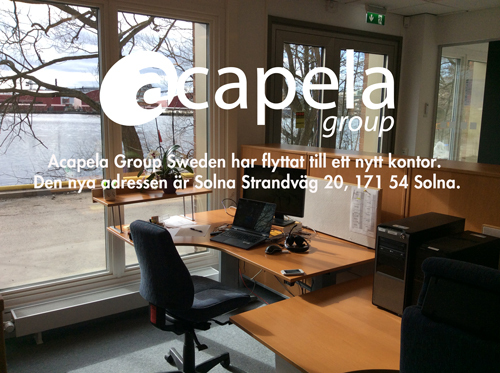 Acapela Group Sweden has just moved to a brand new office at Solna Strandväg 20 in Solna. It is a quiet office close to the water (Bällstaviken) in the Solna Strand area (also known as Vreten).